The Outpatient Consultation Centre of FV Hospital will be closed from Monday, February 4, 2019, to Friday, February 8, 2019, and will reopen on Saturday, February 9, 2019. FV Saigon Clinic will be closed from Monday, February 4, 2019, to Saturday, February 9, 2019, and will reopen on Monday, February 11, 2019. 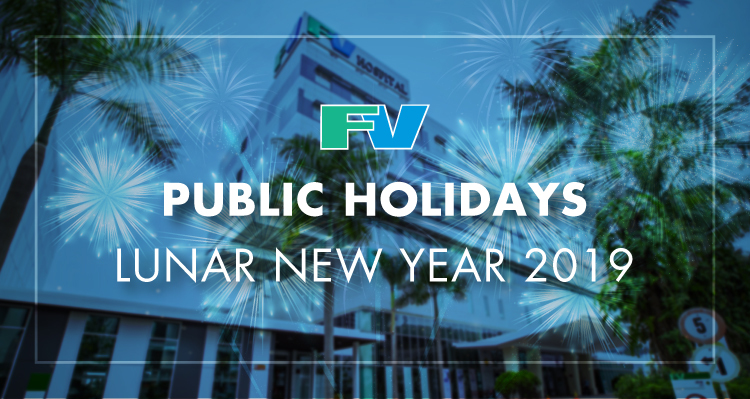 During the Tet holiday, FV Hospital’s Accident & Emergency Department and Inpatient Department will operate as usual.